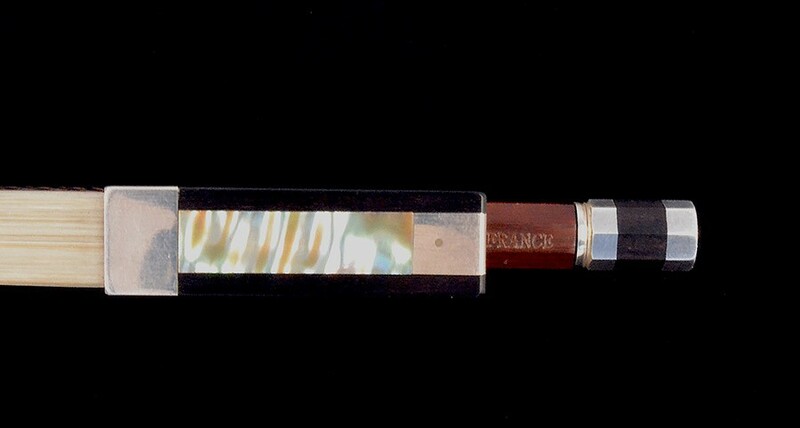 A fine silver mounted Dominique Pécazin violin bow - with golden wire. 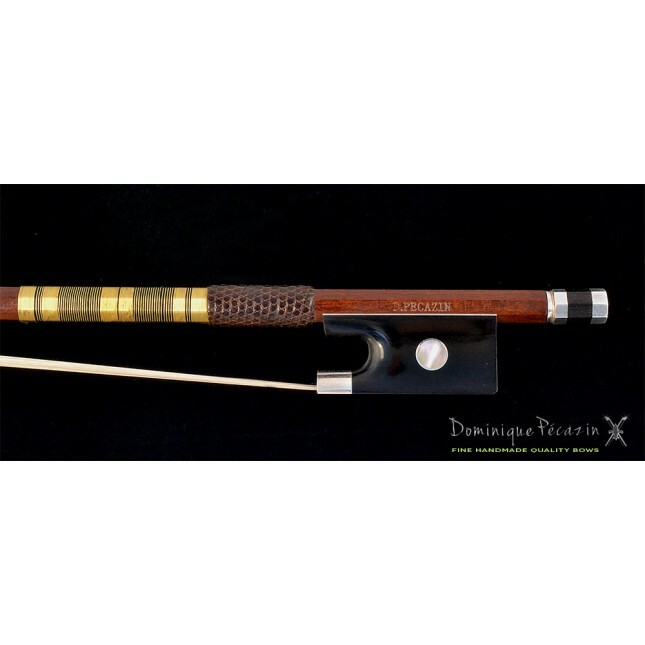 This Pécazin bow is handmade and is made of high quality selected pernambuco wood. 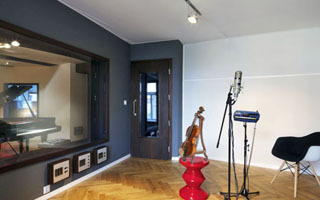 serious alternative to the very expensive old French master bows. 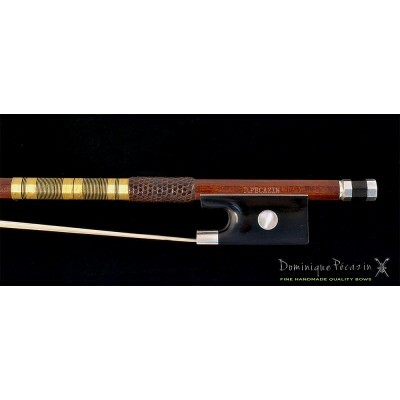 This a is violin bow with a superbe playability. 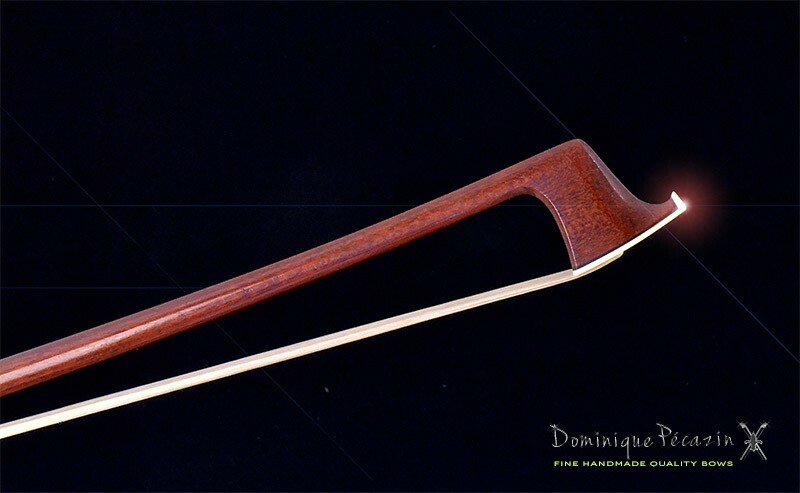 Their excellent quality / price ratio make these bows one of the most popular bows on the market. 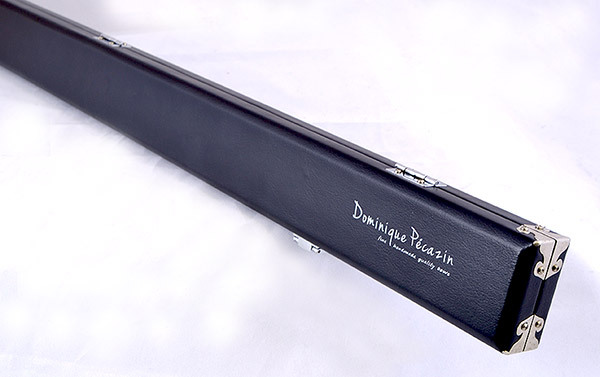 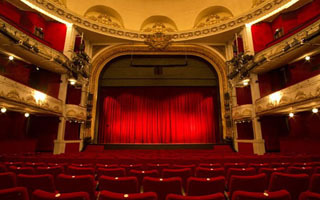 Dominique Pécazin bows are recommended by many teachers and professional players.